There are many classic and modern muscle cars that have been produced the last 5 decades. This means that there are great variety of muscle cars to choose from. However for many, choices are limited to what they can afford. With modern and older muscle cars in high demand, in most cases spending $20,000 or more for a good conditioned muscle car seems to be the norm. With many of the more revered classic muscle cars costing over six figures. This doesn’t mean there are not any good deals available out there. But those types of deals are becoming more rare as time passes on. For those with very limited cash who want a good conditioned muscle car good enough to show in a car show even if it’s not perfect, there are very few choices out there. Most of the time these buyers have to settle for buying a muscle car which is in need of a restoration. But fear not here’s a list of five fantastic V8 powered muscle cars that can be purchased in good condition for an average retail price of less than $5,000 according to NADA’s price guide. All of these cars are genuine bargains and do have the potential to increase in value in the coming years. Ford produced this little gem during a time period when the muscle car was in the process of a rebound. It was the only 4-door muscle car of the 1980s and essentially a 4-door Mustang GT. The 1984-1985 LTD LX shared the same Fox platform with the Mustang GT. Ford gave the LTD a great handling suspension, a throttle body fuel injected 5.0 liter H.O. V8 which produced 165 horsepower and 245 lb-ft of torque. This was a lot of horsepower during this time period. This same engine was mandatory with the automatic transmission equipped Mustang GT at the time. Ford didn’t stop there, it made mandatory a smooth shifting automatic transmission, blacked-out exterior trim, and set of front bucket seats that were some the most comfortable found in a performance car during its day. Not to mention the LX had a dual outlet performance exhaust system that emanated a traditional deep muscle car sound. The Ford LTD LX was ahead of its time. It was an executive muscle car, one a family man could fit a family of 5 comfortably and had lots of luggage space in the rear trunk. Yet it could do a classic muscle car burnout from a standstill. It could run from 0-60 mph in about 9 seconds flat which was lightening fast during this era when most cars took well over 10 seconds. As good as the LTD LX was it was overshadowed then by the new wave of European inspired front-wheel drive 4-door performance cars like the Pontiac 6000 STE and Audi 5000. Though there are no solid production figures available, total LX production is believed to be at the most around 3,000 units. It’s a special car that has been forgotten by collectors hence it still can be purchased in good condition for less than $5,000. Prices may not remain low in the future, with their small numbers and with its Mustang GT DNA expect this 4-door sedan to increase in value in the coming years. Hard to believe the average retail price for the early Fox platform Mustang GT models is still less than $5,000 according to NADA. These quad square headlight Mustang GTs are such a great bargain. With horsepower from 1982 to 1986 ranging from 157 to 210 for its 5.0 liter H.O. V8, it was the performance bargain of its day. Even during this glory period of the Mustang GT, there was some deviation from the famous 5.0 liter H.O. in the U.S. market. The 4.2 liter V8 powered automatic transmission equipped 1982 Mustang GT was a performance dog. 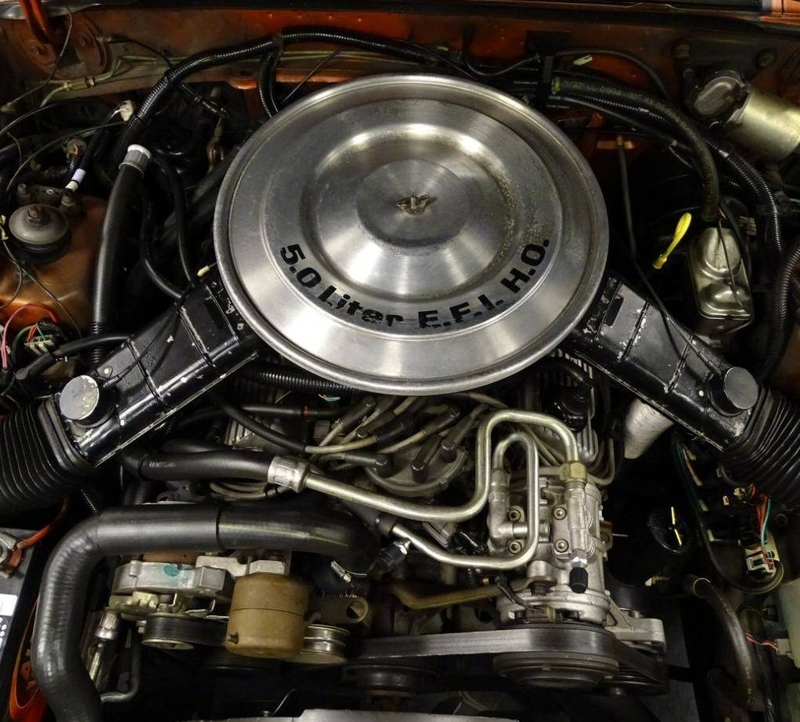 Additionally there was the limited availability of a 2.3 liter turbo 4-cylinder for the 1983-1984 Mustang GT, horsepower was 145 and torque was 180 lb-ft. However its the 5.0 liter H.O. V8 engine that makes the early Fox platform Mustangs GTs such a blast to drive. Not all 5.0 liter GTs are equal, Ford generally made improvements to the GT from year to year. The best of the bunch are the 210 horsepower 1985 GT which was the first year for the roller cam and last year for the 4-barrel carburetor and the 200 horsepower port fuel-injected 1986 GT. Worth noting the 1985-1986 GT had the best handling suspension of the bunch which included stylish 15×7 inch aluminum wheels with ultra sticky P225-60VR15 Goodyear Gatorback tires. The 1982-1984 Mustang GT had mandatory 14-inch wheels. Styling for the 1982-1986 Mustang GT has aged very well, its fastback roofline with functional opening rear hatch made it a 2+2 performance car that provided utility. The interior was also comfortable with an easy to read gauge layout. There was a removable T-top roof panels option for those wanting an open air driving experience. A convertible model was available for every year except 1982, but expect to pay more than $5,000 for one. From 1982-1986 the 5.0 liter Mustang GT was one of the fastest cars available in America during its era, so it is puzzling why it’s not worth more in today’s market. Never-the-less this situation only makes owning one of these fine Mustang GTs a fantastic bargain. These cars if kept in factory original condition with no modifications are surely destined to skyrocket in value in the near future. According to many purist Mopar fans, Dodge stopped producing true muscle cars when the 1974 Dodge Challenger ended production. They would be incorrect, after 1974 the body styling got more conservative but there was still some decent V8 muscle under the hood for the rest of the decade. Nothing proves this more than the 1978-1979 Dodge Magnum, it could be equipped with some of the hottest V8 engines of its day. The Magnum may have been a little more conservative than muscle car era Dodge muscle cars but it still was a great looking car and it had sleek lines especially its front-end design which was designed to win on the NASCAR race track. There were two trim levels for the Magnum, the XE and GT. The XE was the base level trim while the GT was a dress-up appearance package which offered better steering and handling than the XE. 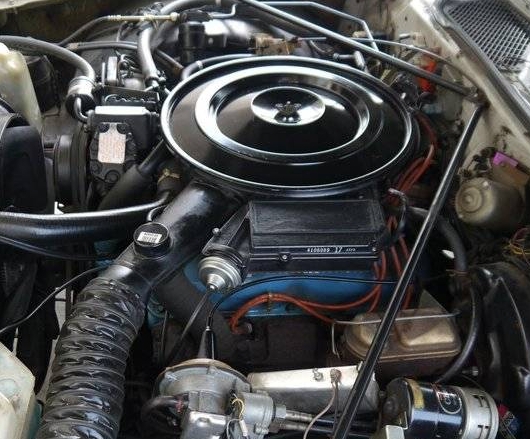 Engine choices for 1978 were a small-block 318 cubic inch V8, small-block 360 cubic-inch V8, and a big-block 400 cubic-inch V8. 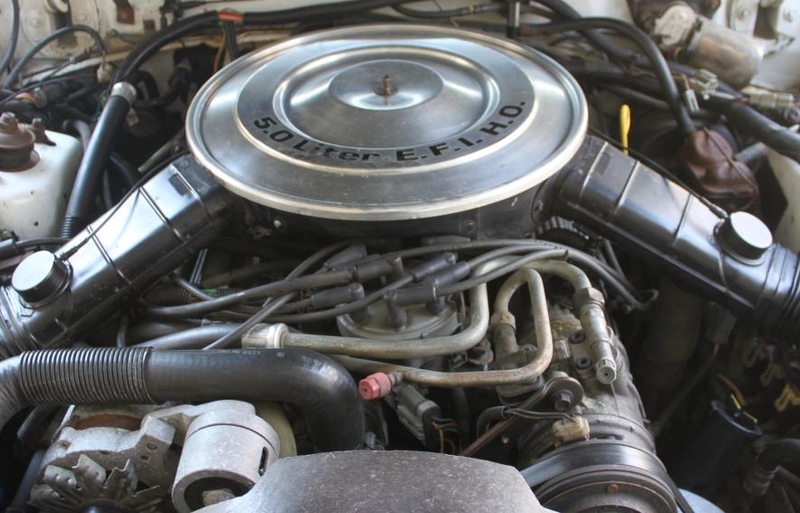 Since it doesn’t matter which engine is selected a 1978 Magnum still falls way under the $5,000 mark to purchase today, the 400 V8 is the one to get. The 400 V8 which was the E68 engine option produced 195 horsepower and 305 lb-ft of torque. For 1978 it was very difficult to find a more powerful engine. For 1979, the Magnum carried over virtually unchanged from 1978 however the E68 400 was gone, the top performance motor was now the 195 horsepower and 280 lb-ft of torque E58 360 V8. The E58 was available for 1978 however it had 20 horsepower and 20 lb-ft of torque less than the 1979 version. The E58 360 equipped small-block 360 1979 Magnum was actually slightly faster and handled better than the 1978 Magnum with the big-block 400 due to the 360’s lighter weight. The 318 V8 was also available again for 1979, but the top performance choice for that year was indeed the E58 360. Currently the Magnum is a fantastic buy, it’s big car compared to most muscle cars which means lots of room and comfort for 5 adult passengers and a massive trunk. The Magnum also had a luxurious interior for its day so it provided a nice balance between comfort, luxury, and performance. The Magnum is the type of car not seen very often at most classic car shows so it’s a smart purchase for someone who wants to be different without spending a lot of money. Removable T-Top roof panels were also optional on both years of the Magnum providing the same open air experience as a convertible equipped car. Both the E68 and E58 Magnums were produced in low numbers so if you manage to find and buy one, eventually when the Magnum is on car collectors’ radar screens your paltry investment may yield big monetary returns. If there ever was a 1980s muscle car that captured the pure essence of the original muscle car it was the 1983-1988 Monte Carlo SS. It was a sporty 2-door mid-sized rear-wheel drive V8 powered car that could fit 5 adults comfortably and had a large trunk. Its free-flow dual resonator exhaust system had that muscle car tough as nails sound. It also had a good handling suspension and a high-performance V8. It was the 1980s version of the 1960s Chevelle SS with a twist. The reason for the Monte Carlo SS’s existence was it’s unique aerodynamic front-end and rear spoiler were produced to allow for their use on the NASCAR racing circuit. The Monte Carlo SS had the exterior looks starting with its mid-1983 model year release but with a mandatory front bench seat and a mandatory column shift, it was as pedestrian as a taxi cab inside. The only upside of this configuration was 6 adults could fit in the interior cabin. For 1984, Chevrolet added a center console shifter option and bucket seats which gave the interior a more performance oriented look and feel causing sales to skyrocket. The Monte Carlo SS started off production with a mandatory 3-speed automatic transmission which eventually was replaced by a 4-speed automatic. There was never a manual transmission option. Still the Monte Carlo SS was one of the fastest American cars available in the 1980s. It was powered by Chevrolet’s small-block L69 5.0 liter V8 which produced for 1983 175 horsepower and 135 lb-ft of torque. For 1984-1988 the horsepower rating was 180 and torque was 240 lb-ft. To get the idea of the Monte Carlo SS’s performance, Car and Driver magazine tested a 4-speed automatic equipped 1984 Monte Carlo SS (July 1985 issue) and obtained a 0-60 mph time of 7.8 seconds and quarter mile of 15.9 seconds at 86 mph. This was very quick by 1980s standards. The testament of how popular the Monte Carlo SS was back in the day, was that it was originally intended as a low production speciality car but sold in much higher numbers than expected. A total of 161,067 Monte Carlo SSs were produced from 1983 to 1988 which is really impressive considering the SS was only available in a few different exterior colors. 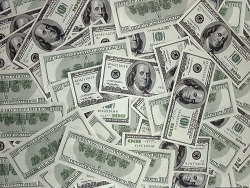 It’s the first three model years that fall under the $5,000 average retail price. There are still many good examples around making the 1983-1985 Monte Carlo SS a great buying opportunity. Out of all the cars on this list, it’s hard to believe the 1993-1995 Camaro Z28 is on this list. Dollar per horsepower ratio this is by far the best pick on the list. Perhaps the reason is its controversial spaceship styling or collectors have accidentally overlooked it. Whatever the reason, it really doesn’t matter. Even if this car doesn’t ever go up in value, which it probably will very soon, it provides such great performance for such a low entry price. Back in the day Car and Driver magazine was able to obtain a skidpad handling figure of .92 g and a quarter mile time of 14 seconds at 100 mph with a factory stock 1993 Z28. Though some would say this Z28 looks like a Geo Storm on steroids, its looks are sporty and have aged well. Rewind back to 1993, the Camaro Z28 was the hottest new car on the market. It was leagues faster than the 1993 5.0 liter Mustang GT, its main competitor. 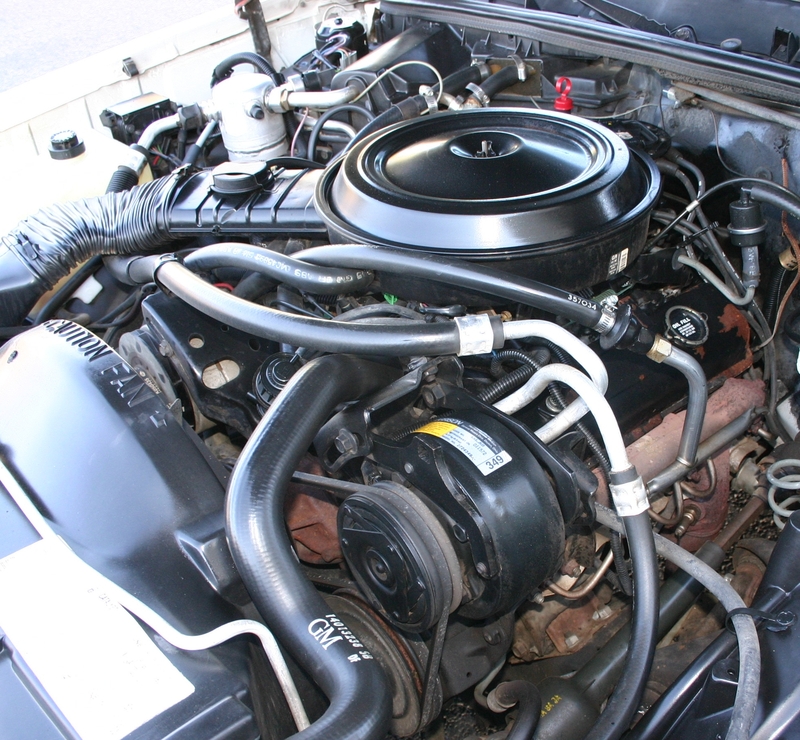 The heart of the 1993 Z28 was the 275 horsepower and 325 lb-ft of torque LT1 5.7 liter V8. It was the same engine found in the much more expensive 1993 Chevrolet Corvette but was just 25 horsepower less – the Z28 was only a few 1/10s of second slower in the quarter mile. In other words the Z28 provided 96% of the performance of the Corvette at half the price. The Z28 was standard with a 6-speed manual transmission with a 4-speed automatic being optional. The LT1 V8 and transmission choices carried over unchanged to 1994 and 1995. 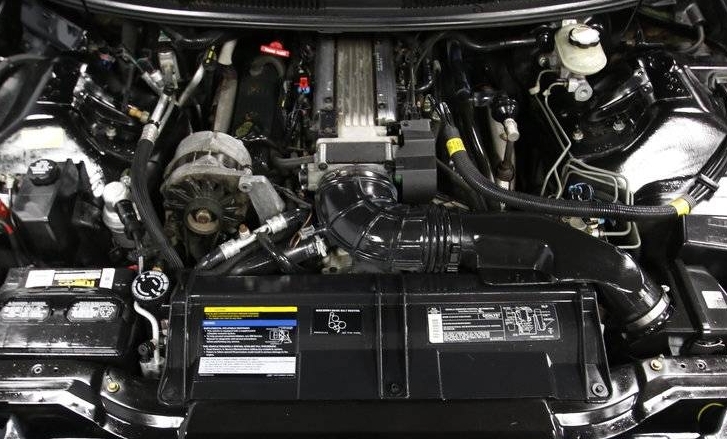 For 1996 the LT1’s horsepower leaped up 10 ponies, however a 1996 Z28 will run a buyer currently over $5,000. Same is true of the 1994-1995 Z28 convertible, the current average retail price is over $5,000. However the 1993-1995 Z28 was available with removable T-top roof panels, so a convertible really isn’t needed for the open air driving experience. Additionally don’t expect to find a good conditioned 1993 Z28 Indy Pace Car Edition for less than $5,000. The cloth interior is not fancy, it’s ordinary but still attractive. Seats are good but the steeply raked windshield and large A-pillars take some getting used to. A leather seating option which did spice up the interior was available for the 1994 and 1995 model year Z28s. In a nutshell, the 1993-1995 Camaro Z28 is a great performance bargain since it’s such a fun car to drive. It provides about 85-90% of the performance of a brand new 2017 Camaro SS at around 12% of the price, in other words you are not going to find a better performance bargain. Count on this muscle car skyrocketing in value in the coming years. You can bet on it. « 2018 Chevrolet Tahoe RST – the Perfect Performance SUV?